I’ve been wanting to do something with a chicken feeder for a while now, so I was super excited when I found one this weekend. I’ve had a couple people mention the turquoise color of it from the photo I posted on Sunday, but that may have been more my poor photography skills than actual color. In person, it really looks more like the green color of your Grandpa’s John Deere tractor that has been left out in the elements and had raccoons living in it for 20 years or so. Since I don’t own chickens, using it as an actual feeder was out of the question. Two dogs + flock of chickens = lots of feathers flying. And not in a good way! So I hatched a plan to turn my chicken feeder into a planter. Totally not my very own original idea, but still a fun one. 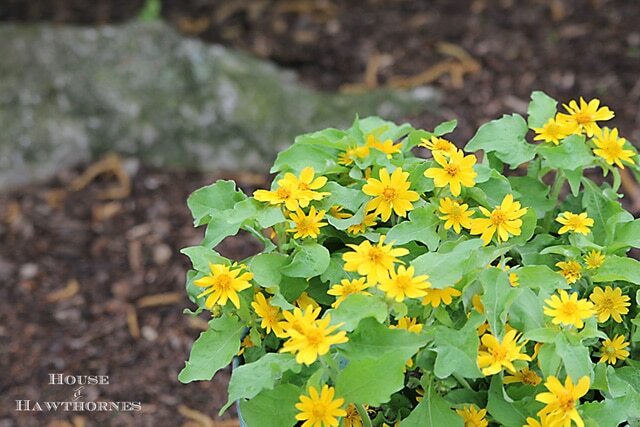 The flowers are Million Gold Melampodium, which look like miniature sunflowers. I thought they looked farm-ish. There are other fun chicken feeder ideas out there in blogland. Michael from Inspired By Charm made a gorgeous table centerpiece out of one of the long chicken feeders. Rita at May Days uses one as a super cute plate rack. 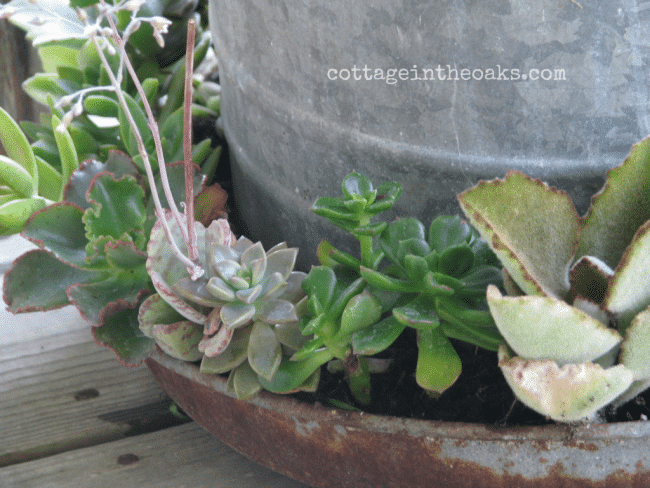 And Daune at Cottage In The Oaks made a cute succulent planter out of a feeder similar to mine. Have you caught the chicken feeder bug yet? Sort of like the bird flu, only more fun! Very cool. Love the rooster too. This is one darn cute feeder!!! Lovely! So much better than messy chickens. I love it and the plant is just what it needs. I stenciled numbers on the last two I found, and now need to figure out what to do with a long one out in my garage…of course it needs to be planted. That’s great! I love how you’ve used yours. Thanks for including my chicken feeder ‘dish rack’. why do I have to clean the chicken feeders again??? now at 60+ it is-how cute are those, wonder where I could find one and clean it up to repurpose. 😉 Life is funny like that. Brilliant filled with sweet little flowers. Love your rooster figurine too. The color looks beautiful with the golden flowers! You’ve inspired me to get mine out of the garage and dress it up! Did you just set a plant in it or actually plant in dirt? Oh gosh, it is darling. Love your idea. I received one from my granddaughter last Mothers Day. It has been painted with roosters on it and I didn’t know what to do with it other than set it outside with a metal rooster and hen. Love the way you have your cute little chicken feeder displayed. 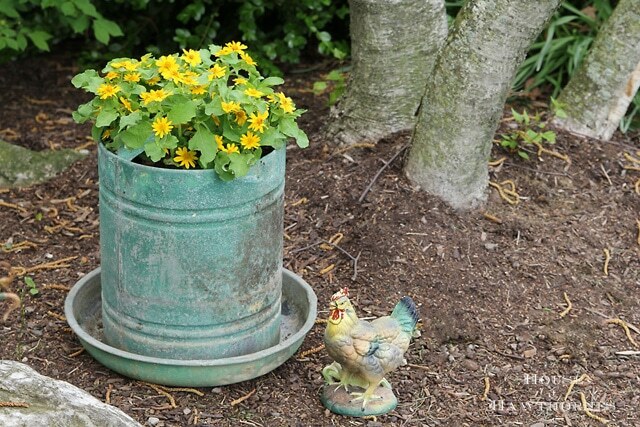 The bright yellow flowers look great in it and the little hen next to it is perfect. I love the chicken feeder. The pretty yellow flowers are just the right touch. 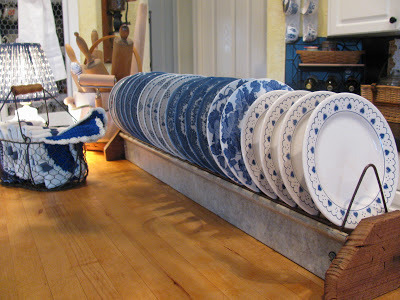 I love farmhouse style and thanks for sharing other styles and uses for these. I definitely have chicken feeder fever! I want a chicken feeder now.. But, do I have to have chickens?… What a great idea!! How clever and cute. LOVE it. Great color on your chicken feeder and I like how you’re using it as a planter. No, but your’s looks great as a planter! Very creative. I remember these at my grandmother’s house. She said if we were very quiet and didn’t scare the chickens we could help her feed and water, and the best part, gather the eggs. Where did you get that little chalkware chicken??? I’m a little jeal… she’s so cluckin’ cute! I have a huge ceramic kitchen right next to my stove, but I’ve not seen a chalk one yet! Lucky find, girlfriend! You’re the garage sale queen! I really love this use of a chicken feeder, so sweet! do you do something special to help with the drainage? 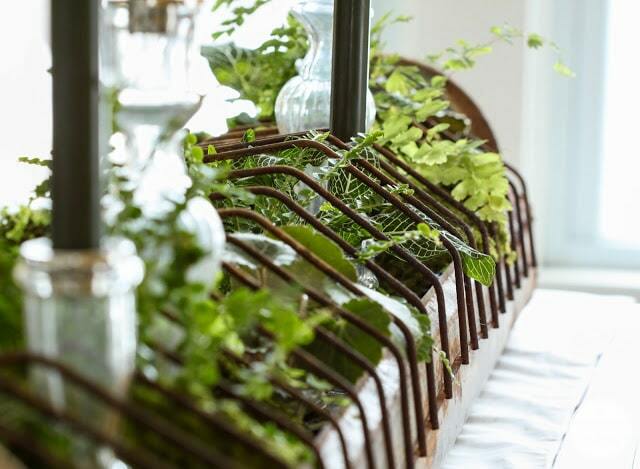 Love this – have 2 waiting in my garage to plant, NOW I will! Rezeeg – Originally I didn’t do anything special for drainage, but the first time it rained and it got really wet the bottom tray filled up with water, so I drilled a couple really small holes in it to let the water be able to run out. Since then it’s been fine.